Direct Gulf front with spectacular views of the Gulf of Mexico from the living room, master suite and balcony plus views of the intracoastal from the kitchen and guest suite. 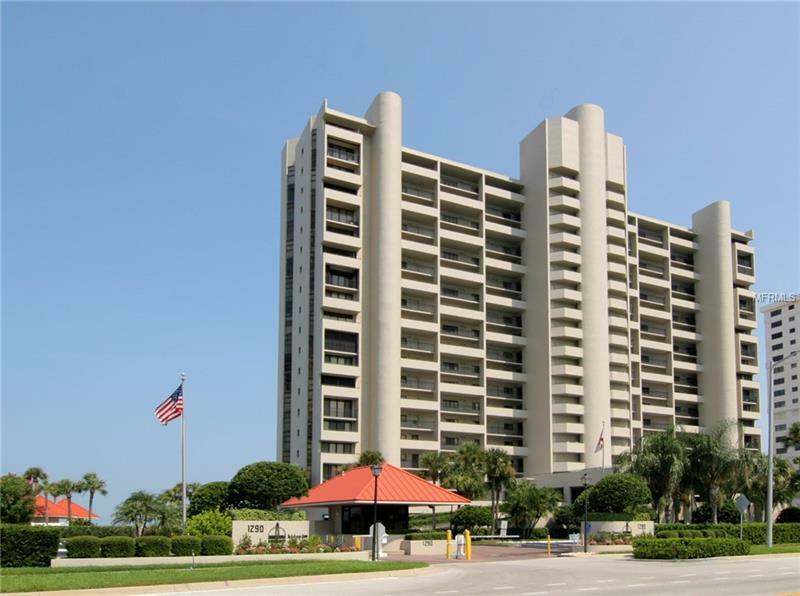 Popular 14 day rental building located on Sand Key. Offered furnished. LIGHTHOUSE TOWERS offers assigned parking, heated pool, spa, tennis, shuffleboard and 24 hour security. Easy access to airports and public transportation. Just a short walk to the Shoppes on Sand Key for shopping and restaurants. Room sizes are approximate.